A 58-year-old bicyclist died recently after having suffered critical injuries in a collision with a white minivan along East Coast Highway. The woman was wearing a helmet at the time of the crash; unfortunately, she succumbed to major head injuries a day after the accident. The bicyclist had been traveling west on East Coast Highway when she was hit by a white minivan. Police are still investigating the cause of the accident and have not yet issued any citations or taken anyone into custody. Nearly a week after the bicyclist’s death, bike safety advocates encouraged Newport Beach residents to attend the latest Bicycle Master Plan meeting to support the city’s bike safety fund. The proposed changes include increased signage for drivers entering and exiting Coast Highway, repainting shared lane markers, and synchronizing traffic lights. 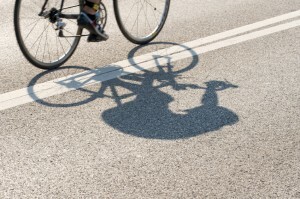 If you have been injured or lost a loved one in a Newport Beach bicycle crash that was caused by another person’s negligence or wrongdoing, please call Attorney Joseph H. Low IV at (888) 454-5569. Through a free consultation, you can better understand your legal options and begin the process for obtaining fair compensation from the at-fault party.